Beneficiaries of the Delta State Government’s Skills Training and Entrepreneurship Programme (STEP) trained in Fashion Designing and in Electrical Installation have received their starter packs to begin their enterprises. Presenting the starter packs to 101 beneficiaries of the programme on behalf of the State Government, the Chief Job Creation Officer, Prof Eric Eboh, charged them to put the starter packs into good use. 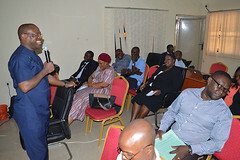 Prof. Eboh reaffirmed that they have for six months received sufficient training at their various training centres across the state, urging them to take their destinies into their hands by growing their enterprises. The 37 beneficiaries trained in Fashion Designing and Tailoring received a Job Creation Grant of an Industrial Weaving Machine and a 2900 Sumec Firman Generator and a Microcredit Industrial Weaving Machine-Straight Type, a Cutting Table, an Electrical Steam Iron, a Cash Allowance of N100,000.00 and a N10,000.00 monthly allowance for three months after establishment of business. 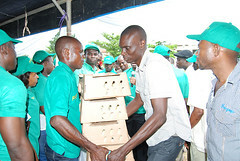 In the same vein, 64 STEPreneurs in Electrical Installation received Job Creation Grant of an Electric Drilling Machine, a 2900 Sumec Firman Generator and Microcredit one Adjustable Aluminum Ladder, an Electrical Tool Box, a N50,000.00 Cash Allowance and a N10,000.00 monthly allowance for three months after establishment of business. Also speaking, the Honourable Commissioner for Commerce and Industry, Barr. 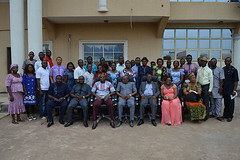 Mary Iyasere, congratulating them for the successful completion of their training and the eventual collection of their starter packs pointed out that the State Government has taken them from their state of hopelessness to that of hope. 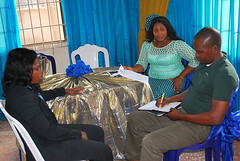 While tasking them to remain focused, disciplined, honest and prayerful, she advised them to treat their clients well so as to attract more customers and to become great entrepreneurs and employers of labour. 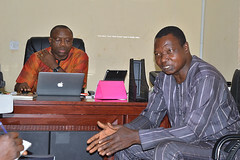 Speaking separately, the Senior Special Assistant to the Governor on Agriculture, Hon Julius Egbedi and the Senior Special Assistant to the Governor on Special Duties and a member of the Directorate of Youth Monitoring and Mentoring, Comrade Ifeanyi Egwunyenga, admonished them to be self-determined in order to succeed. They explained that it is only with self-development and determination that they can succeed in their enterprises and become worthy ambassadors of the State’s Job Creation Programme. 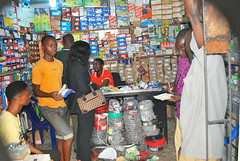 In appreciation, Sandra Uwaje in Fashion Designing and Reuben Oji in Electrical Installation of Aniocha North and Ndokwa West Local Government Areas respectively expressed their gratitude to the State Government for the free six months training and the presentation of starter packs to them with a pledge to put them into judicious use.